For those of you who have never partaken of the Blawg Review, it is what is referred to as a carnival. I am this week’s guest host. Yes, this is a carnival, an online traveling sideshow of sorts. Carnivals are where one plays what one may believe to be rigged games to win items you’d never purchase in a store for the price of the chance. See here for hundreds of blog carnivals, covering many interests. Well, there is little chance you’ll be cheated here, since it is yours truly, the carnival host, who has been conned by the Blawg Review Editor into donating an unanticipated amount of time to assemble a one week collection of blawg posts in the quest for Kewpie doll-sized nuggets of fame and blog traffic. And let me note that this is my project, done at home on the weekend, and not in any way the responsibility of my employer, the Oklahoma Bar Association. One thing we believe in in Oklahoma is home field advantage and so we’ll lead off with a link to Oklahoma City blogger Russ Wheeler who keeps rolling out those Tenth Circuit criminal appellate opinion summaries and links to the full opinions. Sheriff, we need to round up a posse. On those days when I have to round up a posse to assist me when there are bedeviling tech questions or management mysteries, I count on the state bar practice management advisors and some of those fine folks who served on the ABA TECHSHOW Board with me. It’s not surprising that a number of them have blawgs. Reid Trautz, of the D.C. Bar and Reid My Blog, offers his opinion that designers of some law firm websites should examine whether they are more concerned with Building Architecture or Building Clients? Pennsylvania’s Ellen Freedman notes that you should “Purchase Your PC with Windows Vista in Mind” at her Law Practice Management blog. including one I’ll reference later. 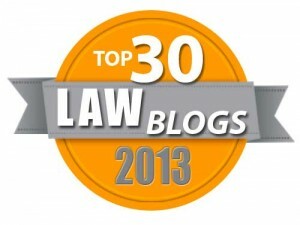 Jeff Beard posts the complete text of two of his recent articles published in Law Office Computing. One is on Enhancing Mobile Security and one is on Avoiding Mobile Computing Burnout. Tom Migell of Inter Alia noted that FirstGov launched a new search tool, FirstGov Search last month. “Oh, the farmer and the cowman should be friends. Well sure, and the Arabs and Israelis should be friends too. But debates, arguments and heated discussions seem to go with the law like country ham goes with eggs. From Pointoflaw.com, we have this commentary on two respected Ivy League professors examining the data on punitive damage awards and apparently coming to very different conclusions. Jonathan Stein of The Practice defends the contingency fee. Bruce MacEwen at Adam Smith, Esq. has a great post discrediting a line of thinking that the quality of law firm management really does not matter. Longtime blawger Ernie the Attorney is now a solo practitioner and he’s blogging about New Orleans politics. Alaskablawger Steve Wells leaves a public defender career for solo private practice, announcing that he’s Got to be Moving on. Anthony Cermino of BizzBangBuzz is another new solo as of earlier this month and his blog lists the Dirty Dozen Top IRS Scams for 2006. You might remember the character Judd in the musical Oklahoma! He was the hired help who lost the girl (and then his life.) Well, OBA member B. Janell Grenier’s at her BenefitsBlog and Walter Olson at Point of Law commented about the wave of overtime compensation suits recently brought by stockbrokers maintaining that they are just the hourly hired help and are owed overtime on top of their pay of up to $400,000 a year. Then Workplace Prof Blog notes a case where an employer sending flowers to an ill employee was used as evidence of notice in an FMLA case. Professor Baimbridge discusses whether the grant dates of options for corporate managers could be timed to coincide with news that impacts their value. Adriana Linares loves technology and at her IHeartTech blog, she asks the potentially problematic question Have you Hugged Your Tech Team Today? Adriana, that assumes that they all want to be hugged by all of us! 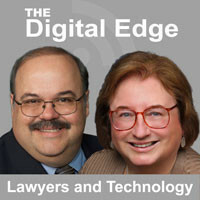 Arnie Herz at LegalSanity.com posts about law firm leadership and links to a nice article from Law Practice Today, “What Does It Take to Develop Effective Law Firm Leaders?” by Dr. Larry Richard and Susan Raridon Lambreth. If any would-be blawgers are reading this, Dave Swanner at the South Carolina Trial Law Blog has a series of instructive posts on how to write a weblog, how to set it up, what to write about and, well, why to do it in the first place. They are all grouped together here and are good reading for all bloggers. Sadly, this week saw Ben Cowgill at his Legal Ethics blog unleash a series of attacks on Kevin O’Keefe of LexBlog. Go here and scroll down. The criticisms seemed a bit thin, leading some of us to conclude that this is personal and not about ethics. But readers are free to make their own calls. Evan Shaeffer of Legal Underground has an initial rebuttal. If you actually have an interest, read Evan’s post and the numerous comments by Cowgill and others afterwards. In an indirect response, Kevin commented generally about upholding free speech on the Web. Another comment shootout followed. There was a good discussion about whether lawyers doing annual onsite client satisfaction reviews (or sending client satisfaction surveys) have an opportunity for “selling” more legal services or whether that is just an occasional pleasant by-product. But seriously, the goal does greatly impact planning of the visit. Gerry Risken (via Jim Hassett,) Patrick J. Lamb and Michelle Golden all jump in.